Granny flats are on the rise as a great property investment move! Not only are granny flats a cheaper way of entering the property investor market, they add value to a principal place of residence or to an investment property. As a rental, granny flats provide an extra income and generate substantial tax depreciation deductions for property investors. Granny Flats have come so far since some basic four walls, shabby carpet and a lime green laminate kitchen. There is a wide range of contemporary and stylish granny flats to choose from to suit your budget and taste. Designs can include one, two or three bedrooms, or even a two-storey granny flat with a two-car garage underneath! It may leave you thinking about moving in yourself! Our research indicates the cost of an average brand-new granny flat is between $100,000 to $150,000, with a rental yield return of up to 15%. 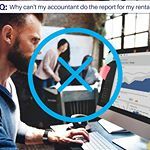 Additionally, the tax depreciation deductions available to granny flat property investors can total tens of thousands of dollars over the first few years of the investment. 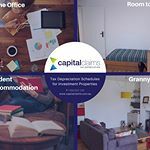 There are great tax depreciation deductions to access from a brand-new granny flat or from an existing granny flat. By claiming the tax depreciation deduction, you can reduce your taxable income - hopefully putting more money in your purse or wallet. 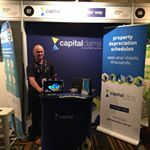 Contact our friendly team to discuss your granny flat and find out what depreciation deductions are available to you. We provide free, all-inclusive quotes and estimates of deductions up-front so you can feel confident before proceeding. Get in touch today on 1300 922 220.